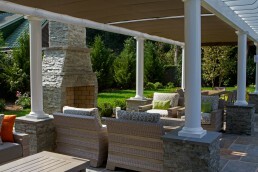 Mierop Design creates an outdoor space with taste and distinction. 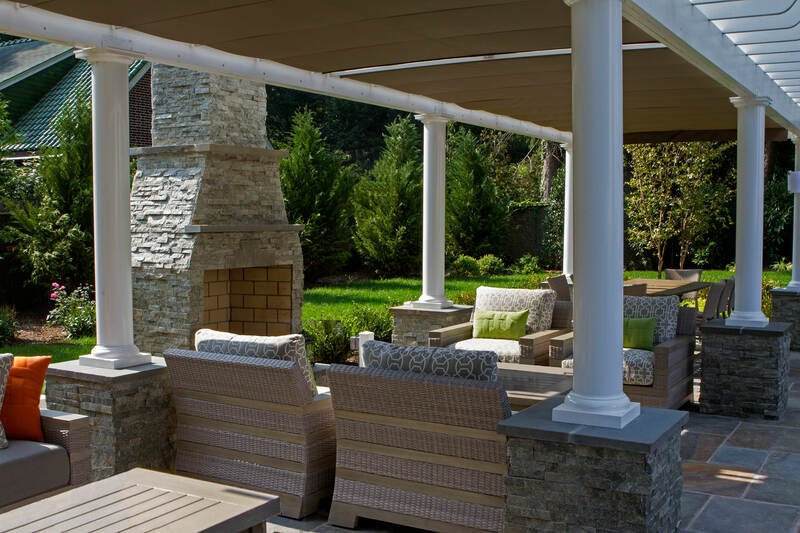 With a keen emphasis on natural harmony, the outdoor space boasts an integrated pool, deck, fireplace and intricate stone columned pergola for entertaining and relaxing. 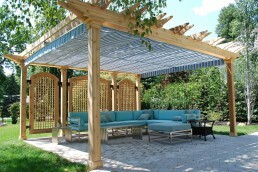 The finishing touch, both for function and design, is two ShadeFX motorized retractable shade canopies, covering 360 sq. feet of outdoor living space. 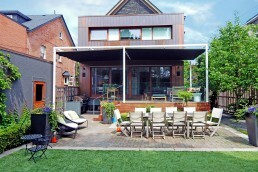 Upon completion of the project, we couldn’t have been any happier with the result, and neither could our clients! 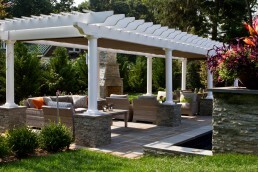 “I used ShadeFX to provide an automated double awning for a large pergola near a dramatic vanishing edge pool. I was initially wary, having never contracted this item before and not being able to visit a similar project to see the quality and installation mechanisms. I was, however, wonderfully guided by ShadeFX staff through all the details of design options and installation requirements. I was further assisted in coordination with my electrician and contractor. 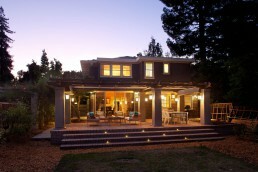 The end result is magnificent and my clients are 110% pleased with the end product, as am I. 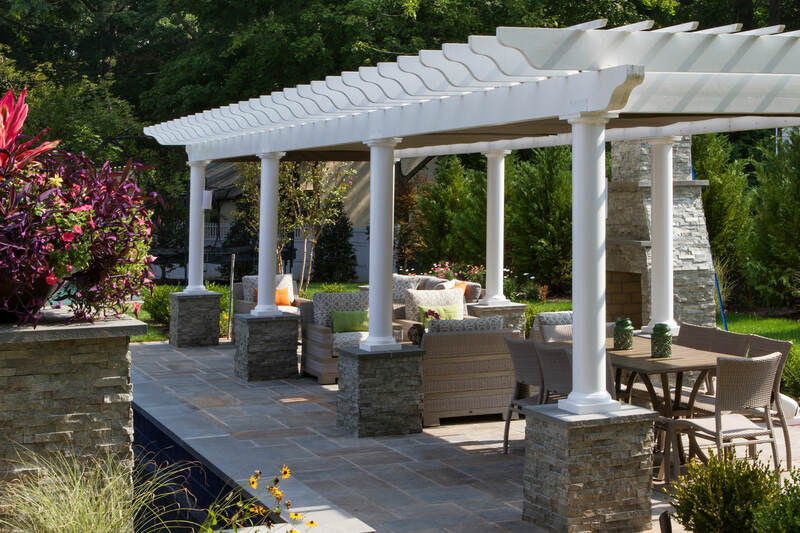 The awning is beautifully engineered and the installation deceptively simple. 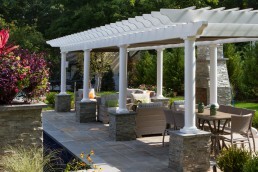 The pergola has so much more versatility in terms of when and how it can be used so there is much value added from a ShadeFX product. We look forward to working alongside Mierop Design in the future and adding another striking design to our catalogue.